ING Group N.V. is a financial institution of Dutch origin offering banking, insurance and asset management services. ING is an abbreviation of Internationale Nederlanden Groep (English: International Netherlands Group). As of 2009, ING Group covers 85 million private, corporate and institutional clients in over 40 countries with a workforce of over 125,000 people. It owns ING Direct, a virtual bank with operations in Australia, Canada, France, Italy, Spain, UK, US and elsewhere. 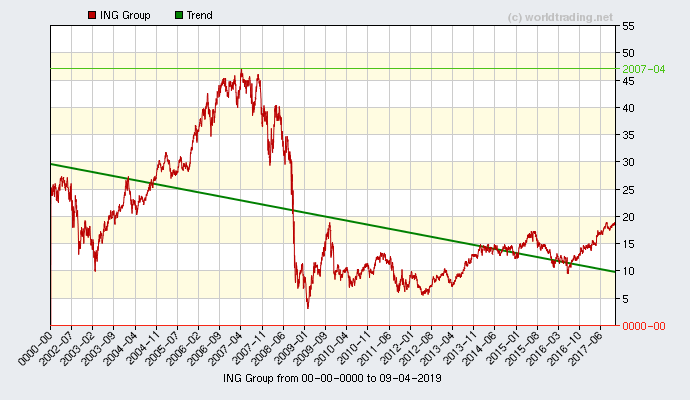 In the 2009 Forbes Global 2000, ING is the eighth-largest company in the world.